Cholesterol is a blood lipid that all of us need for our body to function properly. This is due, among other things, to the fact that it intervenes in important processes . Among them, it is a precursor of vitamin D, some hormones and bile salts that help digest fats. What makes the difference is the type of protein you join. HDL (high density lipo-protein cholesterol) goes from the organs to the liver where it is destroyed . While the LDL (low density lipo-protein) makes the reverse way through the blood and not only is not destroyed, but can accumulate, so it can be dangerous. It is important to keep this cholesterol at adequate levels and, for this, there are some cholesterol lowering foods that can help us . Fish is one of the most important sources of omega 3 . This food offers us a good amount of long-chain of poly-unsaturated acids. These help to improve our blood pressure in addition to reducing the risk of developing blood clots. Some of the most recommended fish are river trout , mackerel, sardines, white tuna, herring or salmon since they are the fish with the highest concentrations of omega 3 . It is recommended that we consume fish twice a week. Chia seeds are one of the vegetables that more omega 3 offer us besides helping to reduce triglycerides. They are also high in antioxidants, vitamins B1, B2, B3 , calcium, potassium, iron and magnesium. Another benefit is that they are high in fiber , which helps our digestive tract absorb cholesterol. This type of seed is very easy to incorporate into our meals as they have no flavor. Therefore, they are ideal to include in our desserts, breakfasts or milk drinks. Some of the nuts that can help us maintain good cholesterol levels are nuts, hazelnuts, peanuts , pistachios or almonds . These nuts are rich in polyunsaturated fatty acids, which helps reduce the risk we have of suffering heart disease. Oats contain soluble fibers that, in addition to preventing our digestive tract from absorbing cholesterol, can reduce low-density proteins. One of the most positive parts of oats is that, by itself it contains a large amount of fiber , but it can be mixed with fruits that still increase more. The oatmeal offers numerous cooking possibilities , both in yogurt, as in porridge, desserts, pancakes and a long etcetera. It is a simple and rich way to control our cholesterol levels through food. It is a high-calorie food, but it contains many properties. For starters, it derives from mono-unsaturated fats and contains omega 3 and polyunsaturated fatty acids . This helps reduce total triglyceride and cholesterol levels in addition to maintaining adequate levels of HDL cholesterol. This type of oil is very easy to find in our country and can be used in the kitchen on a daily basis. 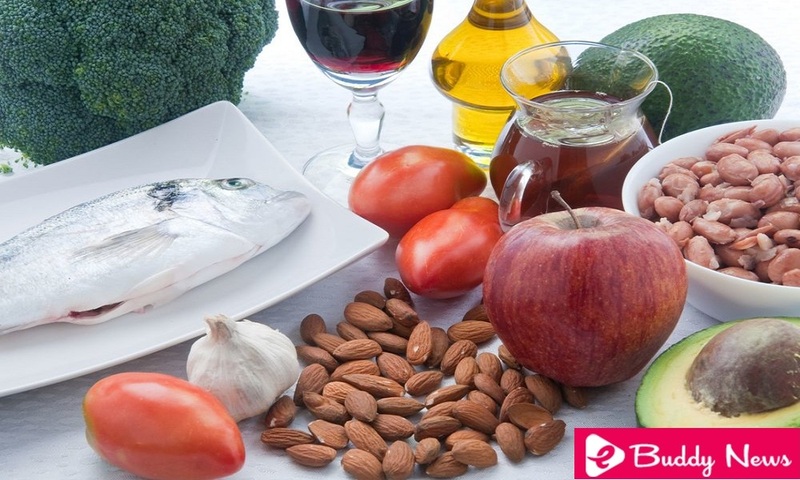 Thanks to this food, we will also achieve other benefits such as the prevention of atherosclerosis and the prevention of bone loss among others. Legumes, like oats or fruit, contain a high content of soluble fibers that helps reduce lipid absorption . Some research has found that consuming legumes once a day can help reduce LDL levels by up to 5% . This also helps reduce the risk of cardiovascular disease. Fruit consumption , in addition to providing high amounts of fiber, also provides stanols. This substance helps block the absorption of cholesterol . In addition, it seems that stanols do not affect HDL levels, so it helps control “bad” cholesterol without affecting the “good”. This is because plant stanols have a structural similar to cholesterol , but can not be absorbed by our body. Thanks to this, the stanols interfere in the absorption of cholesterol which helps maintain controlled levels.